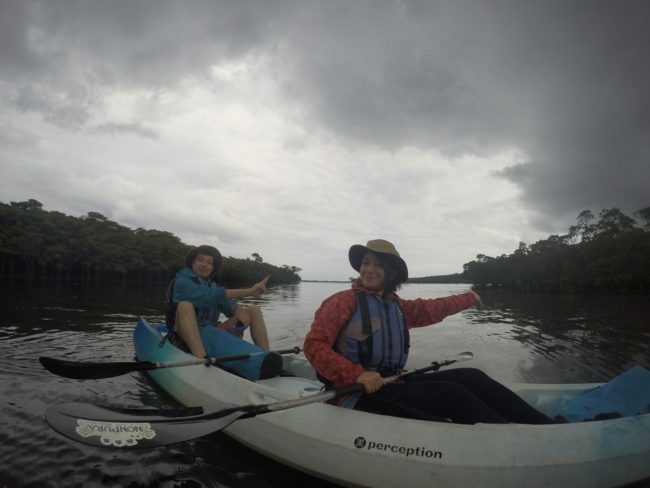 I went on kayak and water buffalo tour with newlyweds from Osaka and Shiga. A couple from Osaka is going to honeymoon. Other one is paper wedding. Both couple looked so happy. 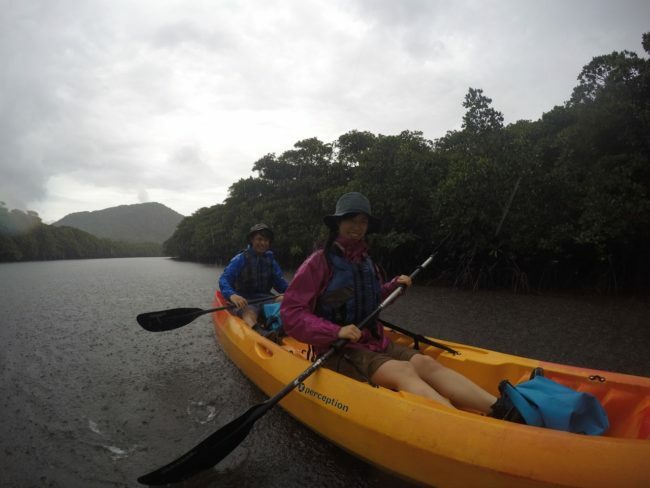 We went to the basin by kayaking and trekking. They are good at kayaking, even so first time. 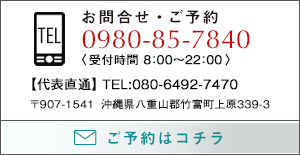 You live a home that takes about 5 minutes from Biwa lake.Try to continue! We took a lunch after　sweating. And　we got all warmed up with standard hoy Yaeyama noodles. 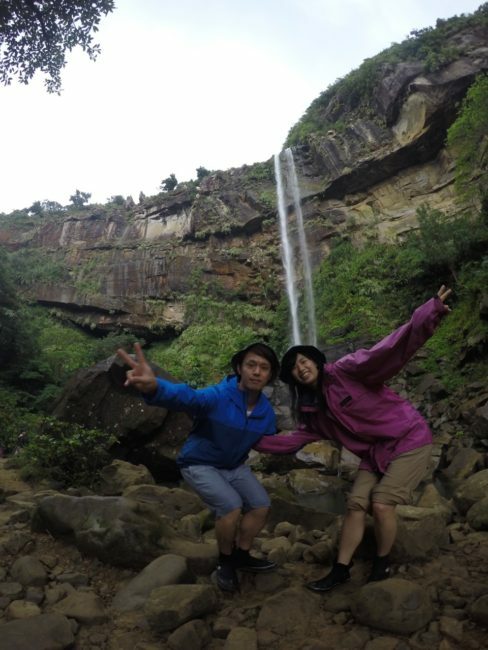 By the way, The longest waterfall in Osaka is Mino fall. Shiga’s one is Yobai fall. Waterfalls are lots of places than I thought. Then we rained heavy on the way back. We got wet through all over.It was so fine. It is also featured in the lyrics of　”Raindrops keep fallin’ on my head”.